According to the Russian investment bank VTB Capital, more than 57% of the nation’s 1,835 oil and gas rigs are over 20 years old. Built in the days of the Soviet Union, they are not powerful enough, or advanced enough to cope with modern extraction methods, such as extracting shale gas. Oil is often more difficult to extract from shale rock and drill bits often need to turn 90 degrees and continue drilling horizontally for time, a feat impossible to achieve with old rigs. The need for new rigs is creating a $9 billion demand that manufacturers such as National Oilwell Varco, who has plans to build a new factory east of Moscow, and Honhua Group are desperate to take advantage of. 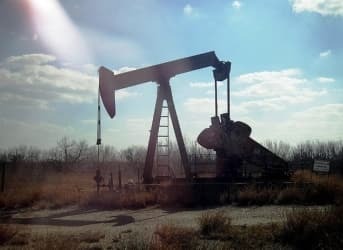 The demand for new rigs is expected to reach a five year high of 105 units this year, yet at the same time old rigs are being decommissioned at a rate of more than 400 a year. Russia is set to experience a real squeeze on capacity. Although Zhang Mi, the Chairman and president of Honhua Group, said that “the talk about shortage has been ongoing for many years, but so far it has not materialized. There is tighter balance for high-spec rigs that will be potentially in higher demand,” but he remains confident that manufacturers in China, the US, and Germany will be able to meet the growing demand for modern rigs. Demand for new, advanced rigs is on the rise as Rosneft, and its business partner Exxon Mobil, have just started to explore the Bazhenov shale formation in Siberia. Bazhenov is estimated to be the size of France, and could contain enough oil to more than double Russia’s current reserves. The successful development of the Bazhenov is seen as vital to maintaining Russia’s reserves above 10 million barrels a day. Richard Anderson, the Chief Financial Officer of Eurasia Drilling Co., Russia’s largest drill rig operator, has said that the US uses 250 rigs to produce just 700,000 barrels a day at the Bakken shale formation, and the Bazhenov formation is many times larger, meaning that Russia needs several hundred new rigs. “These rigs are not currently in the Russian drilling fleet, so they would need to be added,” he said. Can GE Make Fracking Safer?